Destinations in all corners of the globe are experimenting with new ways of doing business. We all face the same strategic challenges and enormous opportunities brought about by an upended consumer landscape. There are brilliant destination marketers, but too often they work alone, or create solutions in isolation. Destination Think! Forum has been created to change that. Forum is the beginning of an essential global conversation about the future of our industry. With very limited availability, registration will not last long. Forum is unlike any other destination marketing event in the world. Leaders from the world’s most progressive destinations are coming together to define a new future and unite to collaborate on a strategic level. This is the first event of its kind on a global scale, exclusive to destination marketers who are intent on leading our industry forward. The entire event is designed to ensure that DMO leaders are fully prepared, with a network of support, to tackle the enormous challenges facing destination marketing, and expose opportunities that they have not yet considered. New York City is a dynamic location suited for a leadership event. It’s a world-class destination and an international centre of business and innovation. It offers excellent air access, diverse accommodation options and limitless opportunities to explore if you have time. Attendance at Forum is limited to just 150 participants to ensure an intimate and collaborative setting. Successful applicants will grow their international network and engage with C-suite, executives and the leaders who drive change in the destination marketing industry. Over two days, you will be inspired by new ideas and possibilities, learn from the solutions that others have implemented and plan together for the future. From unique funding models to industry collaboration to word-of-mouth-marketing or creating and leading a modern destination, you will meet people at Forum who can accelerate your journey. Topics covered at Forum address the strategic priorities that matter most to your destination marketing organization’s future. Extensive research and consultation with over 50 leading destinations created the foundation for Forum’s program. Based on these essential insights, the program has been organized around four trends: Profit and Planet, Cost and Revenue, Product and Promotion and Collaboration and Community. Through a series of short presentations, interviews and discussions, participants will learn from a network of new connections who are leading the world’s most inspirational destinations. Carefully designed collaboration will focus on reviewing the ideas that are most relevant to your destination. Delegates will examine barriers and roadblocks to determine next steps to implement your chosen solutions. Participants will hear from exceptional keynote speakers Brian Solis and William Bakker. 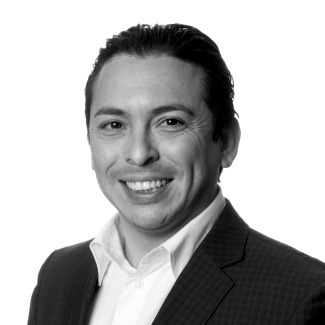 Brian Solis is globally recognized as one of the most prominent thought leaders, keynote speakers and best-selling authors on the subjects of innovation and digital transformation. 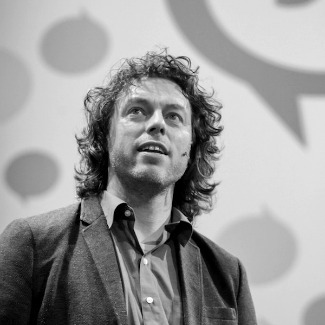 William Bakker is considered one of the leading thinkers in the destination marketing industry. He is a dynamic keynote speaker who has a laser-focus on destination marketing and nearly 20 years of tourism industry experience. They will inspire you to push boundaries in ways you haven’t imagined. Forum is structured to enable leaders and change-makers to learn side-by-side. Too often, you leave events energized and return to face a wall of inertia or resistance to new ideas. Maximize your Forum experience by attending with colleagues who can help you to lead change. Up to three people per organization can attend together, so that inspiration is shared and you ensure that you have internal support to apply new ideas. A progressive CEO might join a colleague in their leadership team who can support change, along with someone leading change from within. WHAT: An exclusive, global forum designed for the most innovative destination marketing leaders. Learn more. PROGRAM: Focused on critical challenges, opportunities and the topics most important to the future of destination marketing. Learn more. FORMAT: In-depth discussions on the issues that matter to you and inspiring keynotes from future-first thinkers. APPLICATION: Complete a quick, online form. This will help us learn more about you and the work you are doing. Click the button below to start the application. A gathering of the world’s most innovative destination marketers.